a Dutch Professor and AI-Scientist. Besides being Full Professor in Computer Science at Maastricht University, since September 2008 at Tilburg Centre for Creative Computing (TiCC) and Tilburg School of Humanities at Tilburg University, Tilburg , and since 2014 at Leiden Institute of Advanced Computer Science (LIACS) , Leiden University, he further holds a named professorial chair from Leiden University , Department of Law, with specialization in Computer and Law since 1988. 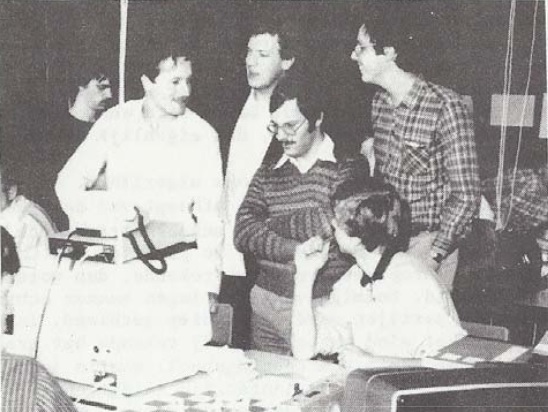 In 1980 Van den Herik was co-founder of the CSVN  , the Dutch Computer Chess Association. From 1983 until 2015 Jaap was Editor-in-Chief of the ICGA Journal. 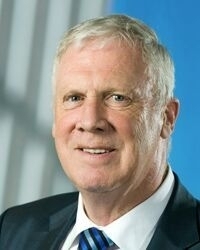 Van den Herik has been the enthusiastic leader of several program and organizing committees, such as Advances in Computer Games and others - also Editor of associated publications as available in the ICGA bookstore. Jaap van den Herik is co-author of the chess programs Pion, Dutch and Much, participating at various World Computer Chess Championships in the 80s  . Since the early 90s Jaap is Tournament director, organizer and arbiter of ICCA and ICGA computer chess tournaments, such as the World Computer Chess Championship, World Microcomputer Chess Championship and the Computer Olympiad. Jaap van den Herik playing a TRS-80 program , is it Gambiet? Jaap van den Herik (1980). Computerschaak, Directe evaluatie door middel van patroonherkenning in het KNPK-eindspel. Technische Hogeschool Delft, Delft. Harry Nefkens, Jaap van den Herik en Bob Herschberg (1984). De openingsbibliotheek van het schaakprogramma PION. THD rapport. Jaap van den Herik, Najib Nakad, Denis Onneweer (1988). De Constructie van een Database voor het Eindspel KRP(a2)KbBP(a3). Internal Report, Universiteit Dept. of Computer Science. Hiroyuki Iida, Jos Uiterwijk, Jaap van den Herik. (2000). Cooperative Strategies for Pair Playing. in Jaap van den Herik, Hiroyuki Iida (eds.) (2000). Games in AI Research. Jeroen Donkers, Jos Uiterwijk, Jaap van den Herik (2003). Admissibility in Opponent-Model Search. IS Journal, in press. This page was last edited on 18 March 2019, at 10:44.